Gibraltar has some world class natural and historic attractions. However, there is more to this community than just the popular attractions. Another side of this destination can be sampled by walking along its Main Street. This walk is over fairly level terrain. If you go north of Main Street, there are some picturesque residential areas. However, the terrain rapidly becomes much steeper. Leaving the cruise port, you walk for about three quarters of a mile along the road that connects the port to the rest of the city until you come to a roundabout (traffic circle). It is a busy road but there are sidewalks (pavements) on either side. 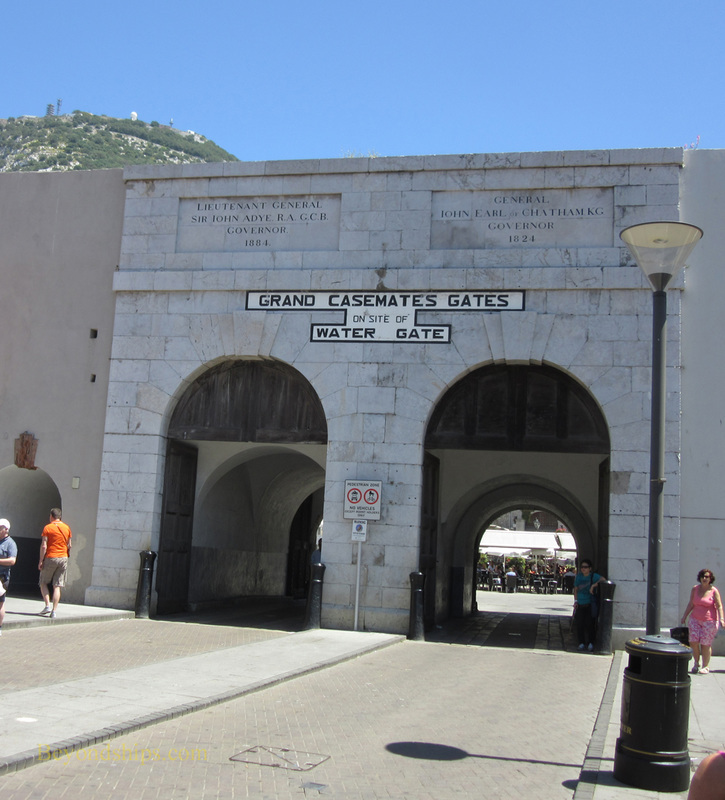 On the opposite side of the roundabout, there is a gateway leading to Grand Casemates Square. 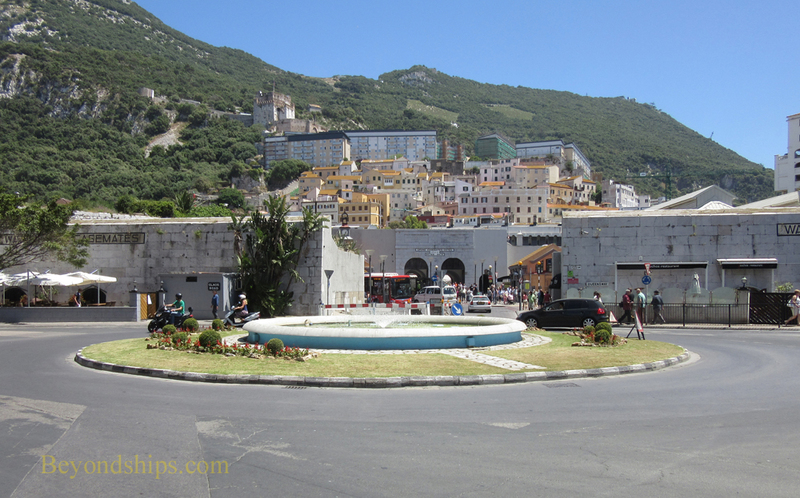 Casemates, as it is known locally, is the largest square in Gibraltar. It gets its name from the bombproof barracks that the British built here in the late 1700s. In Moorish times, it was a beach where galleys were kept. When the Spanish took over in the early 14th century, they built a galley house here but the building eventually sank into the sand. During the Great Siege, many of the buildings that had sprouted up here were damaged and so they were demolished in favor of an esplanade where military parades and public executions were carried out. Today, many of the old military buildings have been turned into pubs, restaurants and shops. Shop stalls and cafe tables with umbrellas cover much of the sunny open space. It is a lively place, humming with activity in the afternoon. Overlooking Casemates on the side of the hill is a large square tower. This is the Tower of Homage one of the few remaining parts of the Moorish Castle, which once ran all the way to Casemates Square. 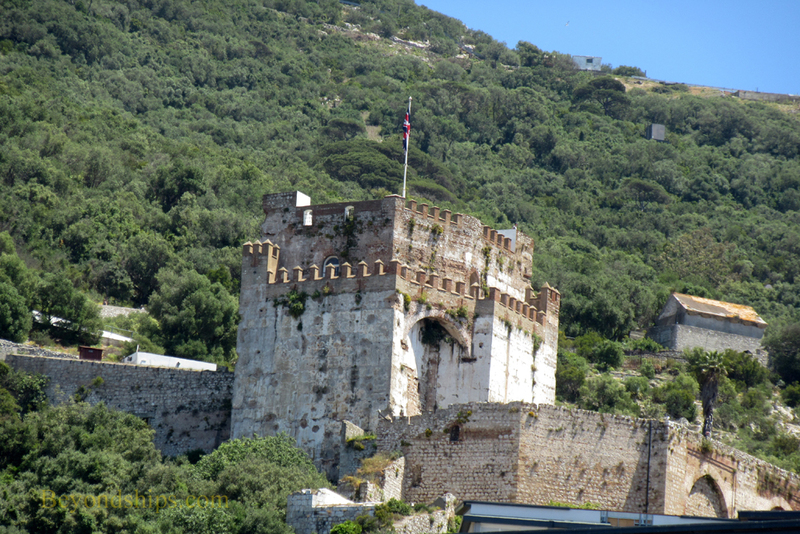 The Tower was built by the Moors during their second occupation of Gibraltar in the 14th century. It was also where the British raised their flag in 1704 signifying the capture of the Rock from the Spanish. Going southwards off of Casemates is Main Street. This is the principal shopping street in Gibraltar. Here you will find branches of shops usually found on the high streets of British towns as well as local entrepreneurs. It is a fairly narrow street but it has been pedestrianized so as to make travel by foot easier. In among the shops are s number of historic landmarks. 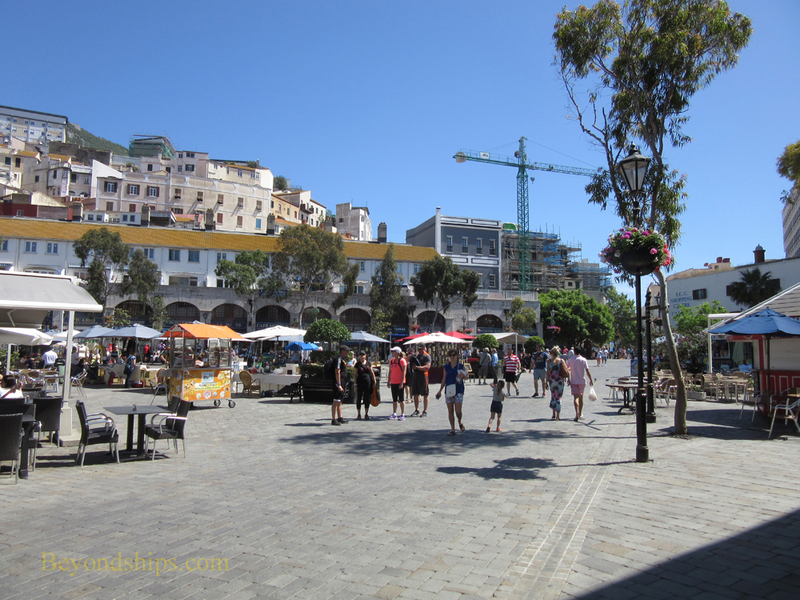 Above: Looking across the roundabout to the entrance to Casemates Square. Above: The Tower of Homage of the Moorish Castle overlooks Casemates Square. ​Below: Main Street near Casemates Square.